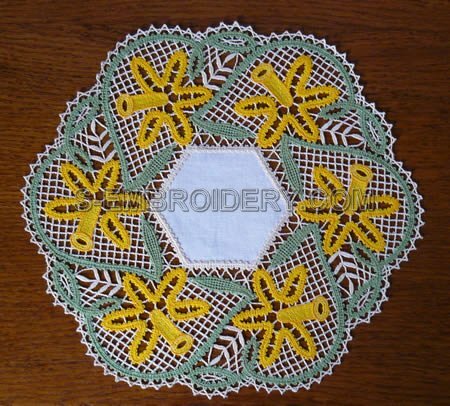 The set includes 2 versions of a daffodil Battenburg lace doily machine embroidery design - mono color and color. 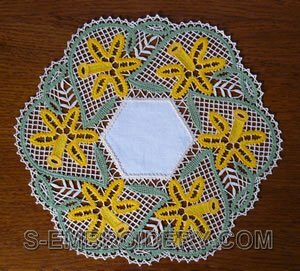 The finished doily will have a diameter of around 11 inches (28 cm). 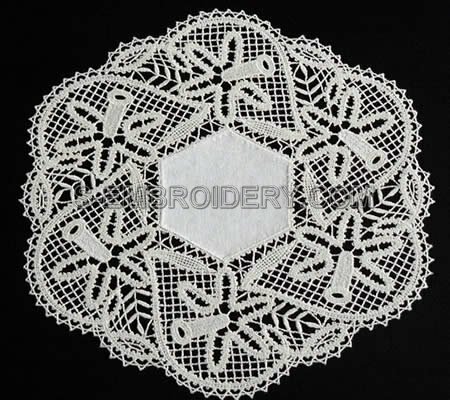 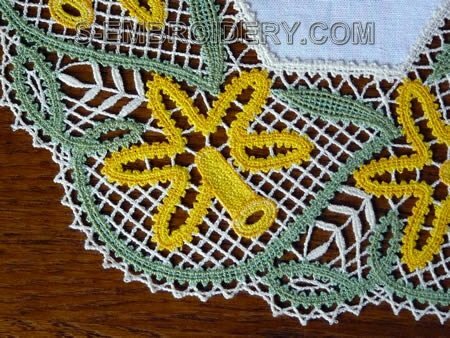 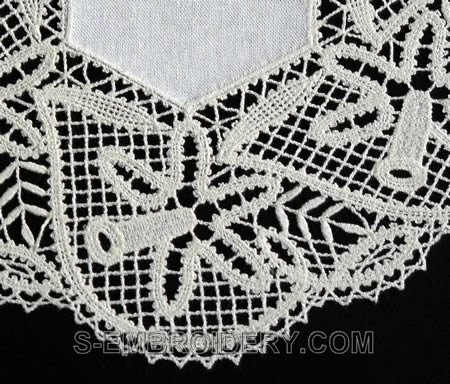 You receive 2 machine embroidery files and 2 PDF files with design information and instructions for creating the doily.